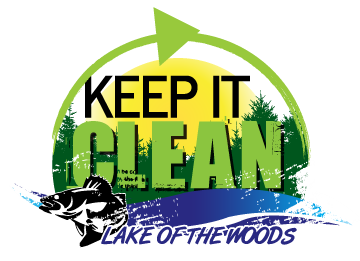 Keep It Clean – Keeps Lake of the Woods Clean! In 2017, the Northern Lites 4-H club chose to do their Community Pride project on the Keep it Clean program. All of the kids who belong to the club spend a lot of time on the water, whether it be for summer swimming and fishing, or winter ice fishing. After conducting a cleanup project of their own, the 4-H club developed a poster to share their message and presented the project under the Community Pride category at the LOW County Fair and earned the opportunity to advance onto the State Fair.